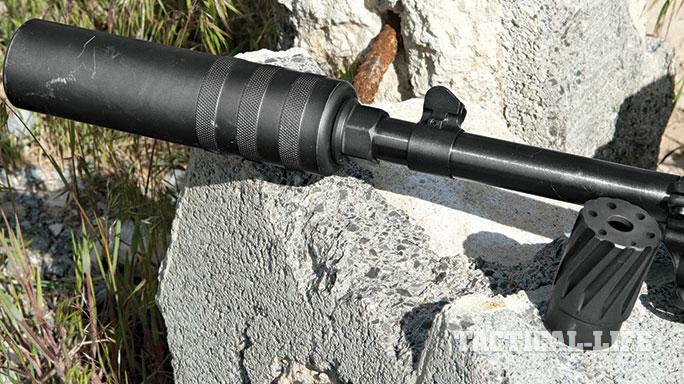 Classic rifle returns in 300 Blackout for covert counterstrikes! 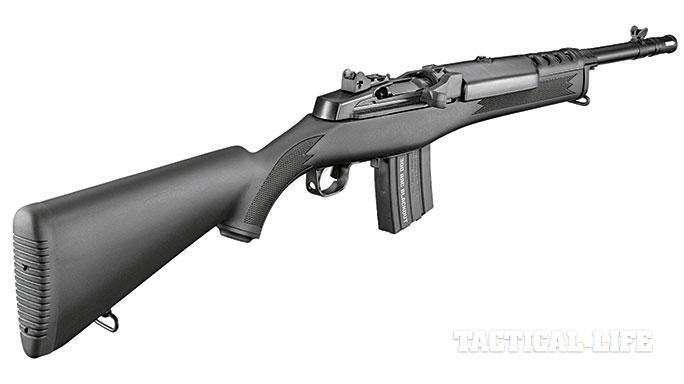 Ruger’s new Mini-14 offers 300 BLK power in a versatile, suppressor-ready package. At the range, the Ruger Mini-14 ran reliably with the Bravo 1 muzzle brake and cover. The 300 BLK Mini-14 comes with a traditional synthetic stock with checkering on the grip and forend. 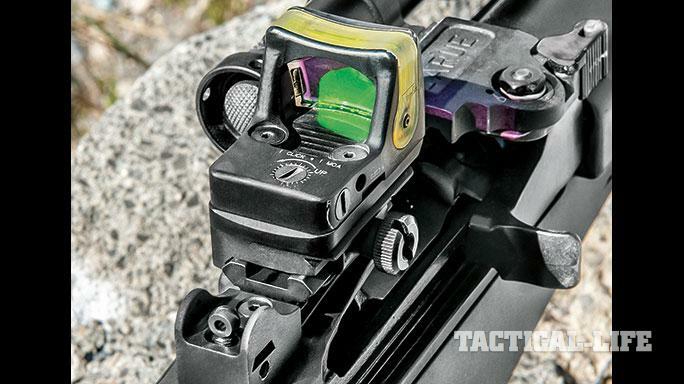 The author’s rifle came with a steel scope mount that served well for a Trijicon RMR. 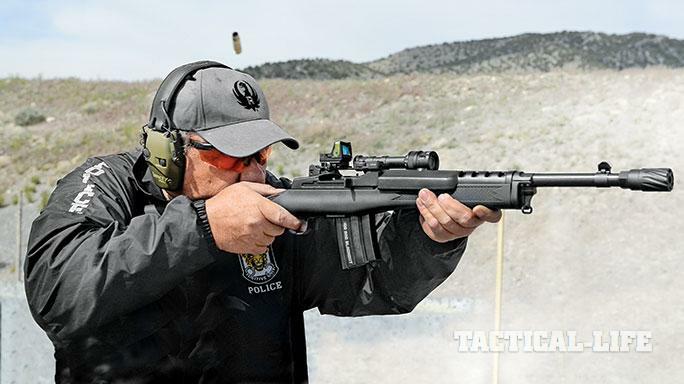 At the range, the Ruger Mini-14 ran reliably with EliteIron’s new BattleDog suppressor. 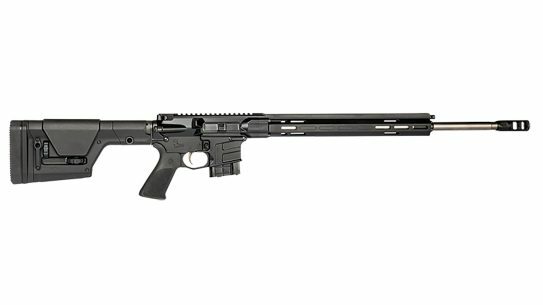 Ruger’s new Mini-14 offers 300 BLK power in a versatile, suppressor-ready package. Shown below with a Trijicon RMR, a SureFire Scout light and an EliteIron Bravo 1 muzzle brake. 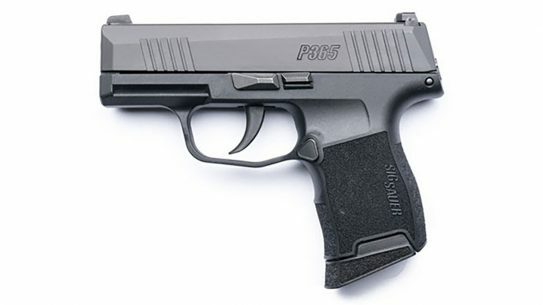 Over the years, many things have frustrated me when it comes to firearms and the police world. Maybe the most frustrating is the abundance of “experts” garnering credibility despite a lack of experience. 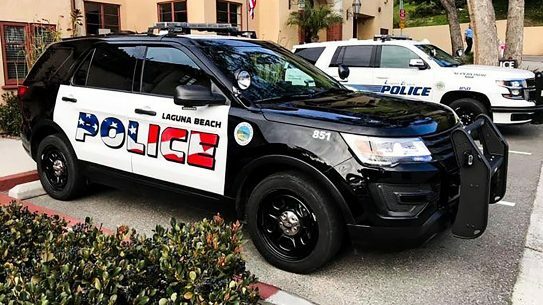 These gurus are fond of telling the entirety of law enforcement what will or will not work—and assuming every single agency among the almost 18,000 police departments nationwide and their 1.1 million officers (according to a 2008 Bureau of Justice Statistics census) have identical needs. As you can imagine, agencies with a chief and a couple of officers working in rural America have different needs than urban departments with over 35,000 sworn LEOs. Comparing the two would be ridiculous, yet it happens all the time. 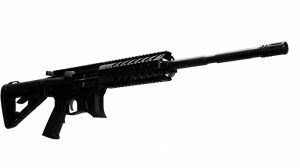 Every agency has its own set of issues, and some simply cannot adopt rifles that look like our military’s currently issued battle rifle. Fortunately, there are some alternatives. While the AR has become the go-to patrol rifle for many departments, there are some LE agencies that prefer rifles with standard, more traditional stocks that garner less scrutiny among the populace. Like it or not, politics plays into to these choices, and perception is very important for some agencies. One of the alternatives for many years has been the Ruger Mini-14. 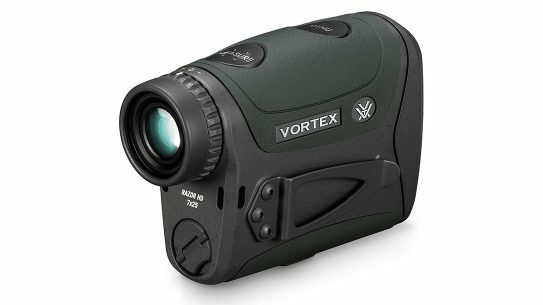 With its accuracy and reliability, this platform remains a favorite for many. 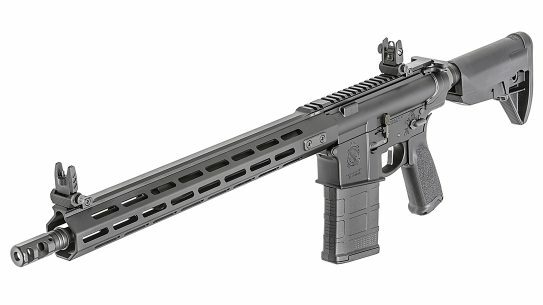 While it’s currently chambered in 5.56mm NATO, Ruger has created a version in 300 Blackout, a cartridge that has taken the tactical rifle market by storm. flash suppressor. 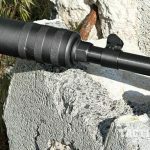 The muzzle also sports 5/8×24 threading for adding a sound suppressor, muzzle brakes and other devices. Weighing in at 6.75 pounds unloaded, the Mini-14 is very handy, and its black synthetic stock is very durable. The rifle also sports a fixed front blade sight and an adjustable rear aperture sight, and my test rifle came with a scope mount that was perfect for installing optics. 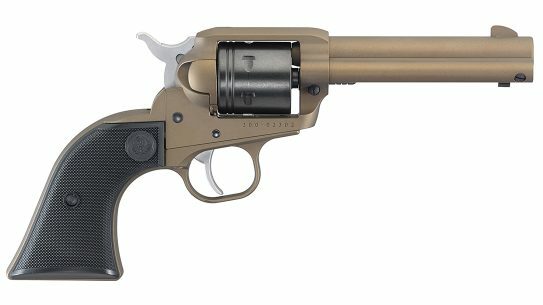 Finally, the rifle features sling swivels to accommodate most two-point slings, and the rifle shipped with two 20-round 300 Blackout magazines. I wanted to keep the weapon simple for testing, so I needed a reflex sight. I installed the included scope rail, which is machined from steel, and added a dual-illuminated Trijicon RMR for quick target acquisitions. 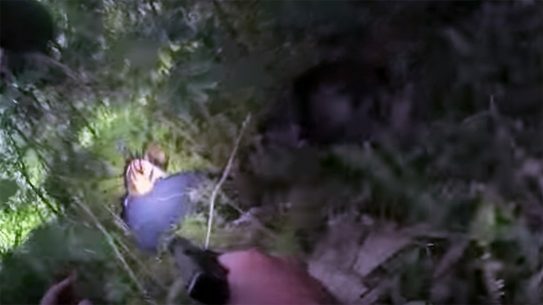 Any rifle used for patrol tasks must have a light. 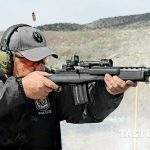 No front rail is provided, and while several aftermarket handguards are available for Mini-14-type rifles, my goal was to keep the rifle streamlined. So, I used a LaRue Tactical offset mount to install a SureFire Scout light to the front portion of the scope rail. This setup proved very functional. It was easy for me to reach the flashlight’s push button, but I would probably use a tape switch if I were going to keep the rifle set up like this permanently. The 300 Blackout cartridge is quickly becoming my favorite. One of its biggest advantages is how well it can be suppressed without adversely affecting a weapon’s operation. Several companies make smaller suppressors that cut down on length and keep a weapon’s balance in order. One of these is EliteIron’s new BattleDog suppressor. It’s one of the best suppressors I’ve used to date. 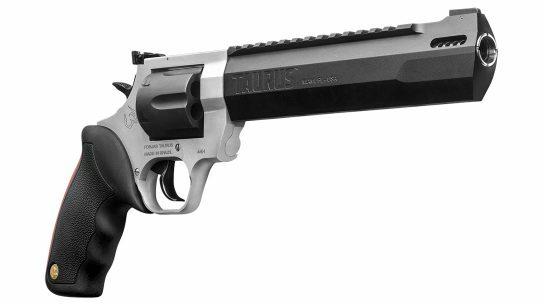 Built for hard use, it is heavier than some but remains short while significantly reducing the rifle’s signature. I added the BattleDog to the Mini-14 as well as EliteIron’s Bravo 1 muzzle brake and cover. 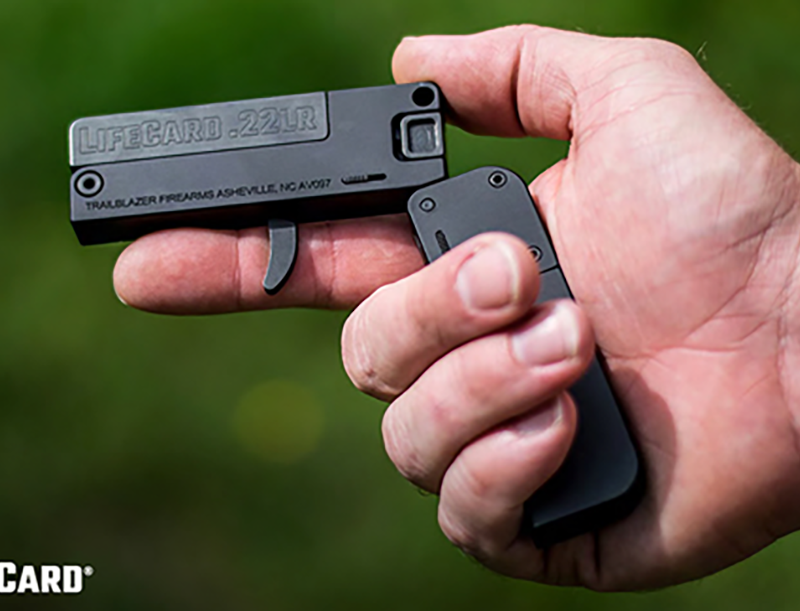 Attach the cover to the Bravo 1 and the blast is directed forward, making it perfect for duty use or in close-quarters situations. My early introduction to the 300 Blackout was hampered by a serious lack of ammunition availability. Demand for all ammunition—mostly fueled by social-media-driven paranoia—made it all but impossible to get 300 Blackout rounds. When you could find it, you needed a second mortgage to purchase it. Thankfully, the demand has subsided, and now 300 Blackout ammunition is plentiful. Supersonic loads are available for as little as $0.60 a round in bulk, with bullet weights ranging from 110 to 149 grains. 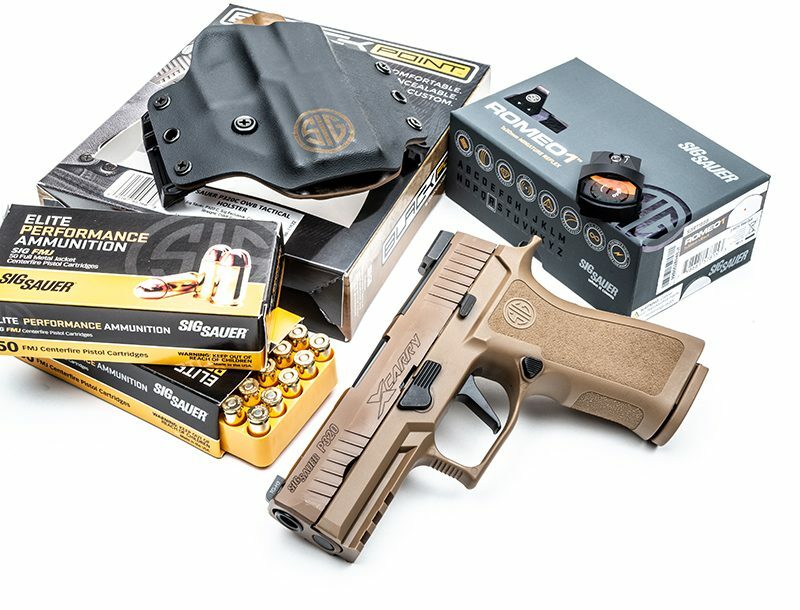 Everything from Ballistic Tips to FMJs and even frangible ammo is now available. 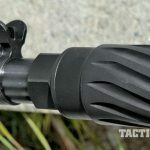 The 300 Blackout also offers something its little brother, the .223, does not: safe subsonic shooting. 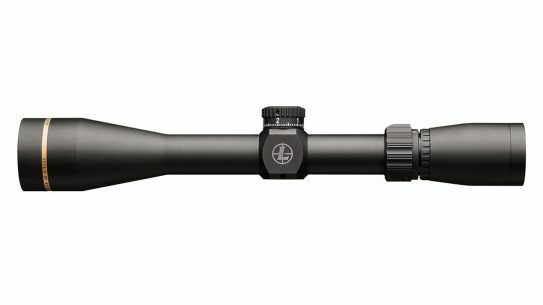 Traveling at around 1,050 fps, the 300 Blackout tends to be accurate. 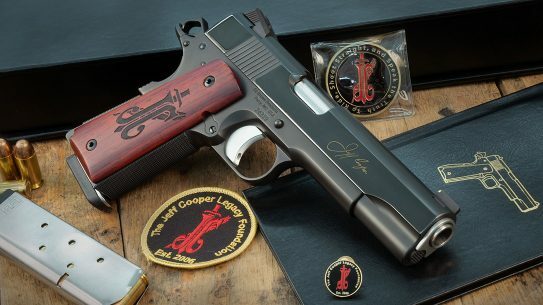 With a suppressor, the sonic crack is gone, which is certainly part of its appeal. The most popular supersonic 300 Blackout loads seem to have 110-, 120-, 125- or 147-grain bullets. Subsonic loads range from 187 to 240 grains. 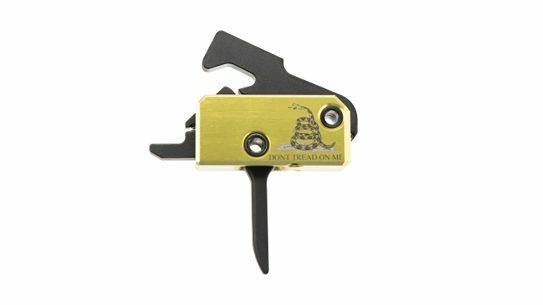 Getting them all to work in an AR can be a trick requiring buffer swaps and an adjustable gas block. But none of this was necessary with the Mini-14. 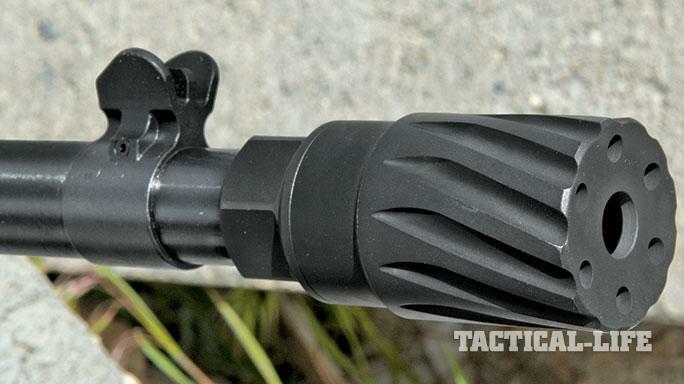 Using either the EliteIron Bravo 1 or a Troy Claymore muzzle brake, the rifle ran flawlessly with every load. Ejection was consistent—it just varied in terms of distance and position between the loads. Running subsonic rounds without a suppressor was a surprise, since you can’t do that with most ARs. Using Hornady’s 208-grain A-MAX, Remington’s 220-grain SMK and Gemtech’s 187-grain rounds, the Mini-14 ran as quickly as I could press the trigger. It never failed to extract or eject. Running the Mini-14 with this ammo was a ton of fun! After I attached the BattleDog suppressor, every load continued to run, including the 240-grain loads. There is a marked difference in bolt speed, however, and any steady diet of the hotter 110- to 125-grain loads may require a spring change. Make sure you closely monitor the bolt carrier for wear. Wolff makes some extra-power springs that may not be a bad idea. Running the Mini-14 like this was manageable, but I could hear and feel the bolt carrier being sent back into battery hard. With subsonic loads, the Mini-14 was very quiet and controllable. 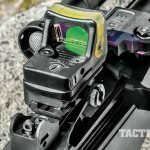 Of course, because of the action’s design, make sure you wear glasses when firing, as gases are sent upward with each shot. The 300 Blackout Mini-14’s accuracy was better than most of the Mini-14s I’ve tested in .223/5.56mm. My best group—just under 2 inches at 100 yards—was accomplished using Hornady’s 110-grain V-MAX ammo. With a scope, you may get better results. Every group was in the 2- to 3-inch range. 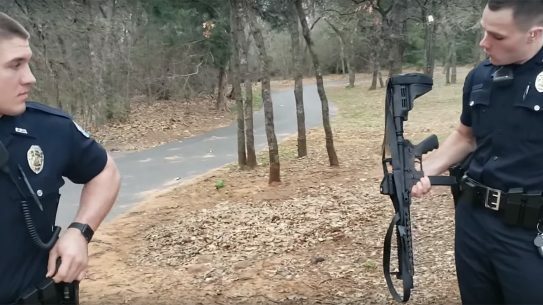 While it’s not a tack driver, per se, the Mini-14 is more than adequate for most police applications. Moving to 25 yards, I created a 1.5-inch group using the 208-grain A-MAX load. This is the norm in my testing with subsonic loads, especially the Hornady. Both of the Ruger magazines worked well, and the rifle never malfunctioned. Each magazine is clearly marked “300 Blackout.” With no other Mini-14s in my inventory, I didn’t have any other aftermarket or higher-capacity magazines to run in my test rifle. Moving around the shoothouse and the range with the Scout light mounted proved very handy indeed. The light didn’t cause any interference in terms of sighting or presentation. Operating the flashlight’s push button required using my off hand, but it was certainly workable during test. 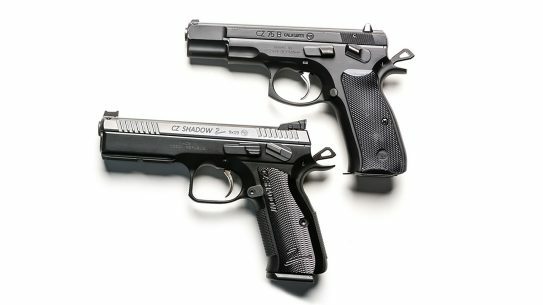 The only real issue some may encounter is the length of pull of the standard stock. For those like me with short arms, or officers using plate carriers, this has always been the case. I’ve spent hundreds of dollars over the years shortening shotgun and rifle stocks to fit me better. 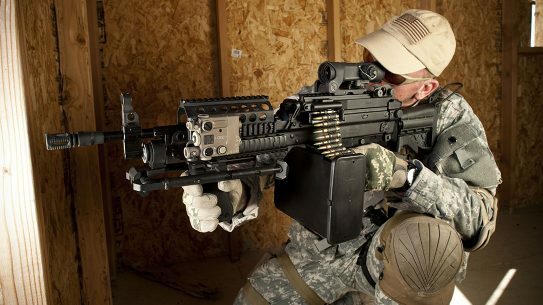 If you use a plate carrier, you may need to alter your position a bit. 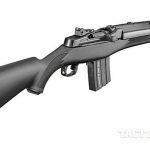 Ruger’s Mini-14 has a huge aftermarket, however, so other stocks are available, and Ruger will also offer this rifle with a folding six-position stock using an AR-style pistol grip. 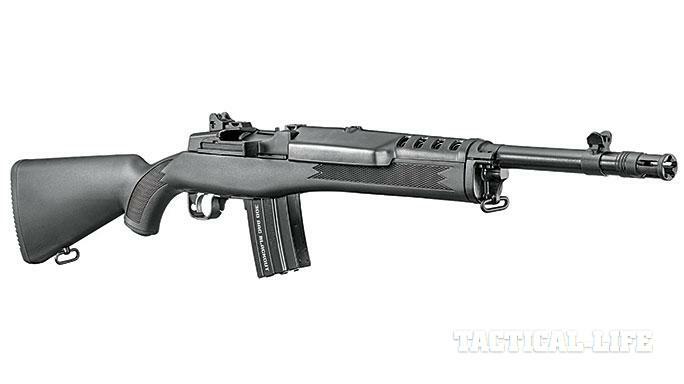 Ruger’s Mini-14 platform has a very strong following. Several models over the years have been more or less “tactical,” with one of the largest aftermarkets for carbines. The Mini-14 in 300 Blackout will only increase that popularity. Being able to run subsonic ammo without needing to alter the rifle is a big seller to me, as many either cannot own or afford a suppressor. Muzzle brakes like the Troy Claymore worked perfectly on this rifle, and they will keep your hearing intact in close quarters. With some attention to return springs, you can even run the Mini-14 fully suppressed. 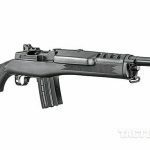 If you are looking for something outside the ubiquitous AR mold that will get the job done, make sure you check out the new Ruger Mini-14 rifle in 300 Blackout.